Barclays plans to eliminate 14,000 jobs by the end of this year. Barclays announced another wave of job cuts Thursday, pushing the total over three years to 19,000 as it takes the knife to its investment bank. The investment bank division will shed as many as 7,000 positions by 2016, starting with 2,000 cuts this year. The bank has about 140,000 employees worldwide, and had previously estimated that it would lose as many as 12,000 jobs this year. Barclays will be "a focused international bank, operating only in areas where we have capability, scale and competitive advantage," CEO Antony Jenkins said in a statement. "In the future, Barclays will be leaner, stronger, much better balanced and well-positioned to deliver lower volatility, higher returns and growth." The bank is about 15 months into a major overhaul initiated by Jenkins, who is working to repair the bank's finances, restore its reputation following a series of scandals, and withdraw from some businesses. Investment banking will shrink dramatically to account for just 30% of Barclays' assets by 2016, down from around 50% at present. Once the driver of earnings and global expansion, the division has recently dragged down group profits and provided a steady stream of management headaches and controversy. Retail banking in the U.K., Barclaycard and Africa will account for the majority of the group's business after the restructuring. Investors responded positively to Thursday's news, sending shares up 4.6%. But the stock is still 11% lower in the last year, while London's FTSE 100 has risen 3.6%. Jenkins -- who hasn't taken a bonus over the last two years and has promised big changes in the culture and behavior of the bank -- took the job after Bob Diamond was forced out in the wake of the Libor scandal. In July 2013, the bank agreed to pay U.S. and U.K. regulators $453 million after admitting that its employees conspired to manipulate the Libor rate in order to make money for its traders. The rate, which is supposed to represent what banks charge each other to borrow money, is used as the basis for setting rates for up to $800 trillion in loans and financial securities. On top of that, Barclays announced plans last year to raise about $12 billion after regulators discovered a huge gap on the bank's balance sheet. 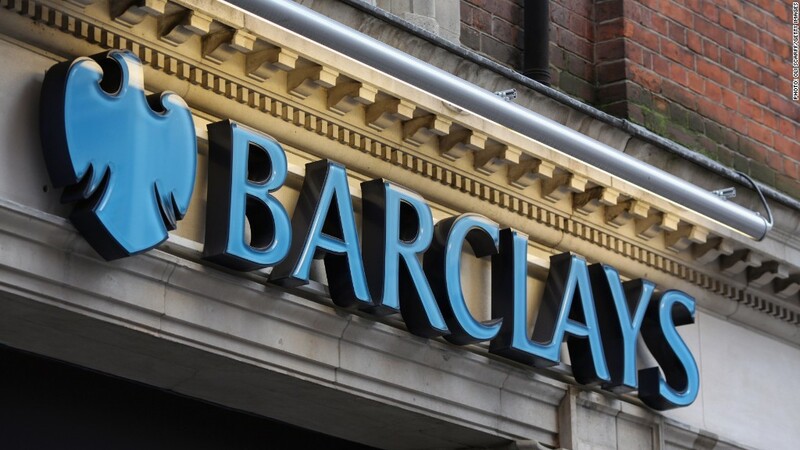 Barclays, along with other top banks, is also currently under investigation for potentially manipulating foreign exchange benchmarks to profit at the expense of their clients. Investors have also criticized the bank for paying out bigger bonuses last year, despite the bank's weak earnings.